Two great events showcasing Inline Hockey in New Zealand at its very best were held over the recent Queen’s Birthday Long Weekend in both New Plymouth and Hamilton and provided all players and clubs with an opportunity for a mid-season event after playing the Mt Wellington Invitational in Auckland over Easter and commencing their own regional league games. 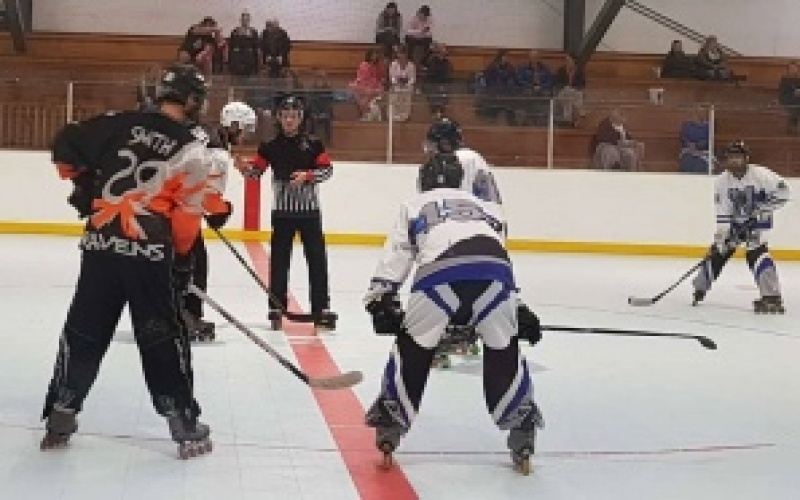 The 15th Annual Ravens QBT Invitational in New Plymouth saw a staggering 62 games of Inline Hockey played. Due to the sheer number of games created for a very tight schedule, but with games kept to 2 x 18 minute halves, each team in each grade had the opportunity to play as much hockey and meet as many teams on the rink as possible. The Ravens also honoured their continuing commitment to New Zealand Teams by providing game time, covering referee reimbursement, and including the games in a very tight roster to assist with their development programmes prior to attending events overseas. Congratulations to the following players who received Fair Play - MVP Jerseys over the weekend. The Ravens want to offer a huge thank you to Kane Taylor for organising the referee roster, to Alan Henderson, Andrew Kibblewhite, Dylan Radford, Brett Turia, Craig Heyward, Sam Bayes, Willy Harvey, Connor Robertson and Pheora Sims who all gave time to referee at the games over the weekend; whilst the score bench was manned by Julia Craig and Krys Beardman for the majority of games with help from Sandra Kivell and Alethea Stove. The event was also made possible by the members who gave up their time to prepare the rink, run the snack shop, clean the rink after the event. Coaches, players, officials and also the strong spectator contingent are also an integral part of any event and are thanked for the incredible camaraderie, sportsmanship and commitment shown across the Tournament. Download the QBT Ravens Invitational Result Chart by clicking here. While New Plymouth was busy hosting their annual QBT Invitational, further north the Hamilton Club were covering the Junior grades and hosting Under 10, Under 12, Under 14 and Junior Women.